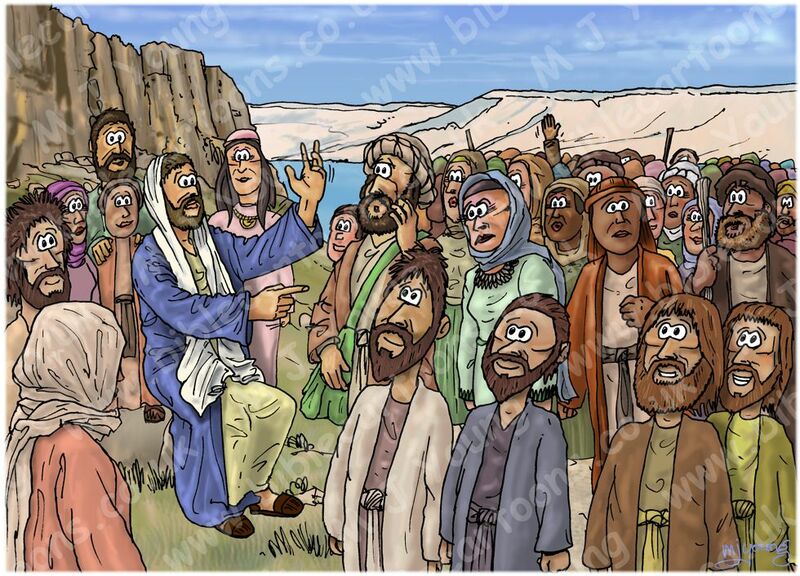 You can see a large crowd of people behind the disciples. Matthew chapters 05:01–08:01 is called “the Sermon on the Mount” because Jesus gave it on a hillside near Capernaum, which was a city on the north coast of the Sea of Galilee (Lake Kinneret.) This sermon probably covered several days of preaching, if not more & the content was probably repeated (at least in part) by Jesus many times, as the message contained in the sermon is central to the gospel message. 1) Capernaum has been identified with Tell Hum, which is about two miles south-west of where the Jordan flows into the Sea of Galilee. 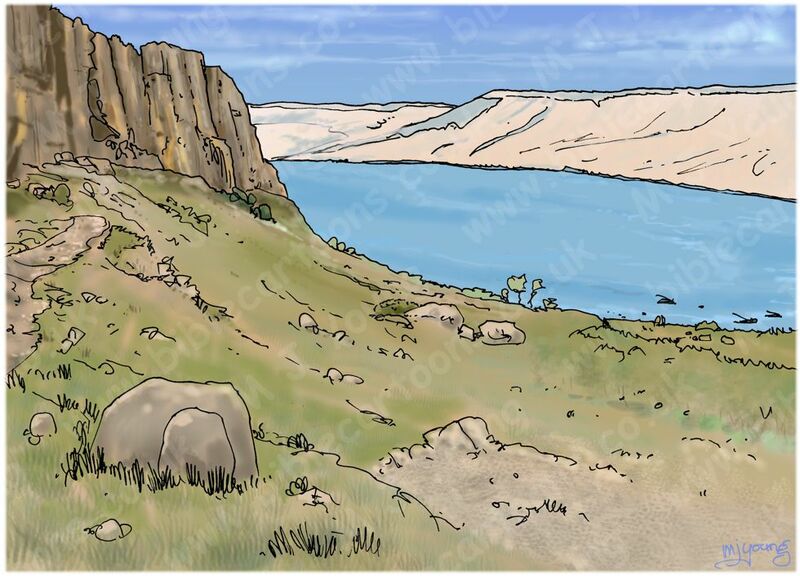 2) Other scholars have conjectured that the ruins of Capernaum are to be found at Khan Minyeh, about three miles further to the south on the lake’s shore.